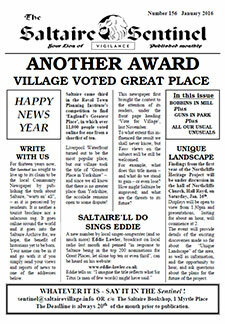 The last edition of The Saltaire Sentinel is here. 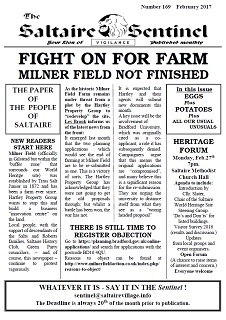 It is not numbered. 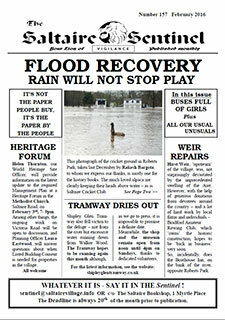 This is the Tribute Edition, celebrating the life of James Duncan, who died on 6 January 2018, aged 64. 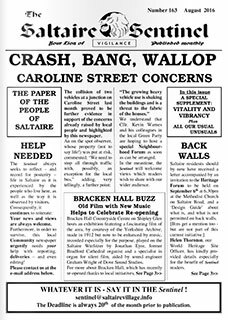 James' funeral, conducted by Valerie Jenkins, was held on Monday 5 February 2018 at Eccleshill United Reformed Church. 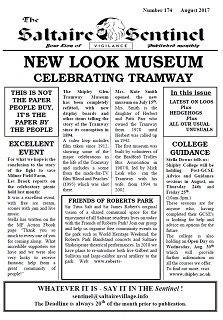 The Tribute for James was given out following this service. 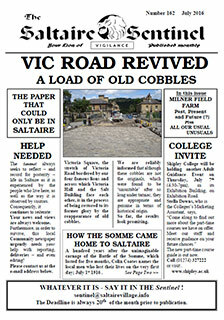 Additional copies are available as usual, in Saltaire Village. 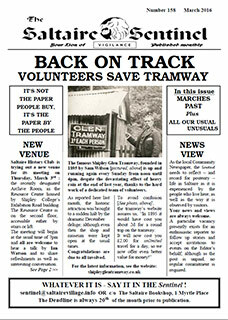 We have lost a dear friend. 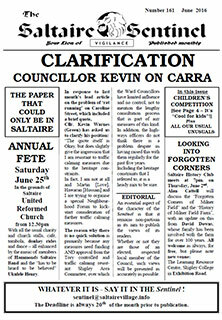 Thank you to everyone who contributed to the Tribute Edition of The Saltaire Sentinel. 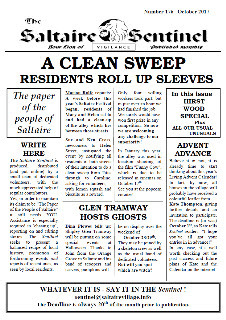 It is truly a celeration of James Duncan's life. 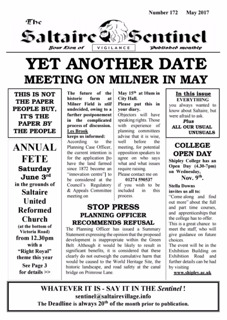 As James' nephew, Oliver writes: "It is with the utmost respect and love for all that James was, that we lay The Saltaire Sentinel to rest, alongside its creator." 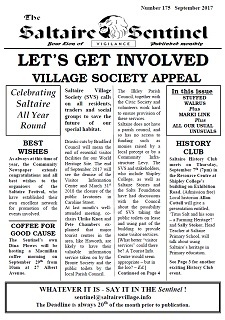 The Saltaire Sentinel, is archived in the Saltaire Archive housed in Shipley College, and is also available on this website (January 2006 - December 20017). 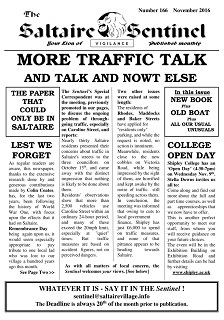 The Sentinel was a feature of Saltaire life for 15 years and was dearly loved. 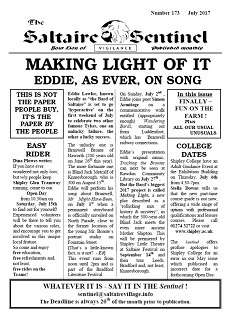 James and The Saltaire Sentinel will never be forgotten. 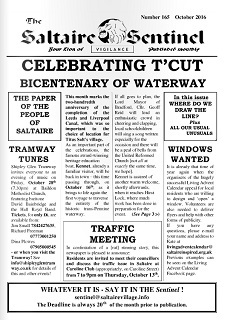 The Saltaire Sentinel is not affiliated to, nor in any way controlled or influenced by any group, society or organization. 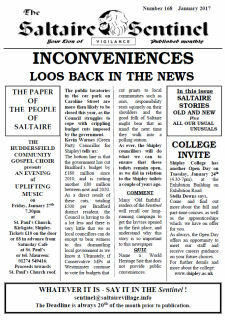 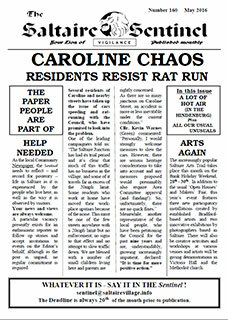 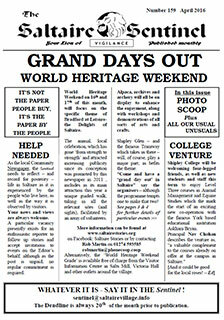 The first edition of the Saltaire Sentinel was in January 2003. 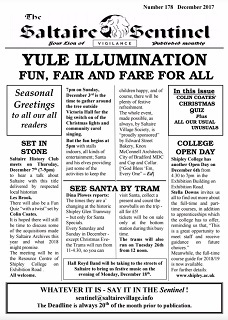 It has been published on-line since January 2006 to December 2017. 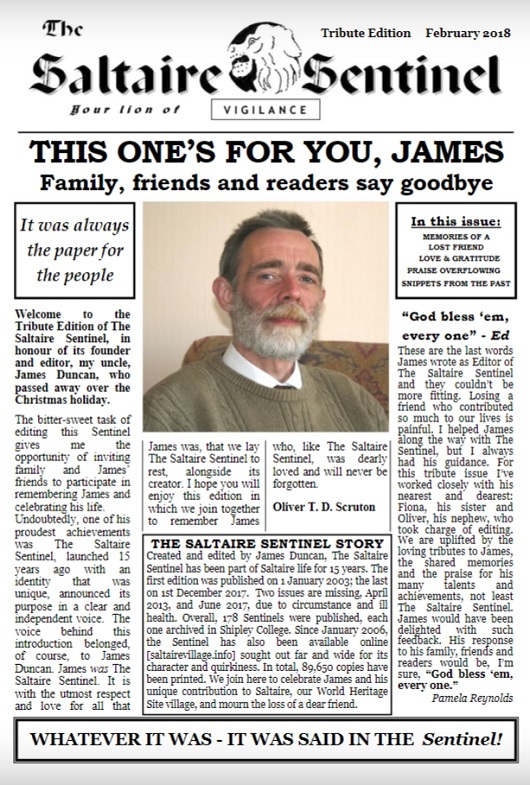 There will be a Tribute Edition of the Saltaire Sentinel, following the death of the Editor, James Duncan, a great colleague and a great friend. 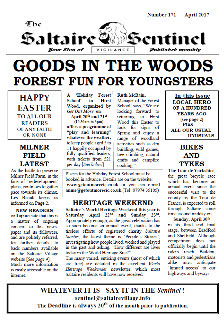 If you wish to search for something specific, please use the search box, top right. 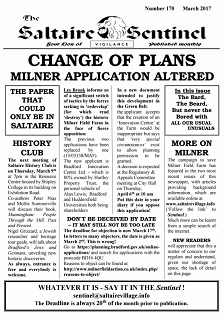 The Saltaire Sentinel is an Acrobat File and you will need Acrobat Reader installed on your computer. 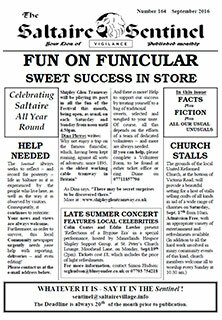 The Saltaire Sentinel is now available on the ISSUU reading platform. 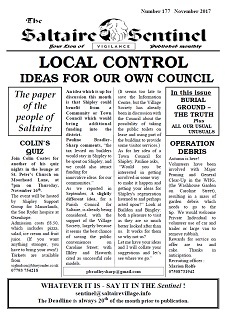 Missing edition due to unforeseen circumstances. 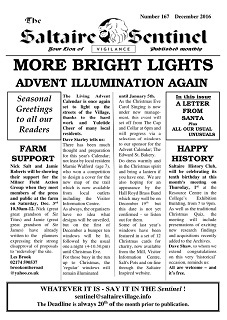 Click on the image to open the file.